Stapleford is a village located approximately 4 miles to the south of Cambridge, in the county of Cambridgeshire, in eastern England on the right hand bank of the River Granta. 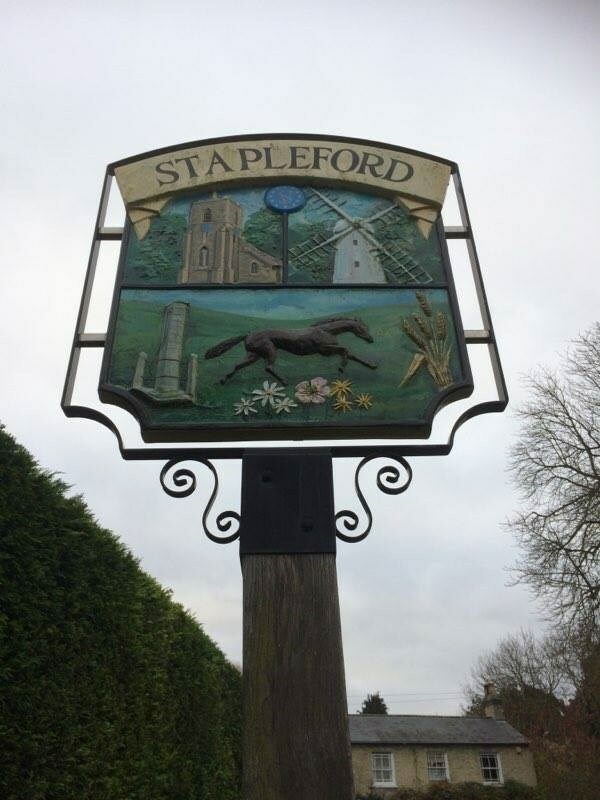 Stapleford is first mentioned in 956 when it was given the Latinised name of Stapelforda, formerly Stapleton. Unlike most parishes the spelling has hardly changed since then. The parish, however, was inhabited long before this. Wandlebury Ring, which lies within the parish boundary, is an Iron Age hill fort, originally built in the 3rd century BC, but rebuilt with a double bank in the 1st century AD. More recently, the village found fame with the discovery that Barack Obama is a direct descendant of one Thomas Blossom, who grew up here towards the end of the 16th century before emigrating to the United States. The cache is next to the village sign but not on it so please do not go climbing all over it!